Real Talk Wednesday: Mommy Brain....Is Real! I'll never forget it, I was 8 months pregnant and mommy brain was in full action. I was driving, doing the speed limit, minding my own business when lights and sirens pulled up behind me. At first, I thought he must have been trying to pull someone else over and I was just in the way, but no. I was on a busy road, so I pulled over to the side, half confused, half on the verge of tears and a little stunned. The officer came over and after checking my license he asked me to get out of the car. So I did and we went and stood on the side walk. When I stood up he soon realized I was very pregnant. He was nice, but I didn't understand what I had done and stood their starting at him with a confused look. So he asked me what I thought I did wrong?! I answered back with, went through a red light?! Speeding?! Tail light out? Nope! He then pointed out my insurance was past due and it was illegal for me to be driving. The only time my husband ever had his phone turned off, had to be this day. I couldn't get ahold of him to come get me. Long story short, my car was towed home, about a 5 minute drive that cost me $100.00 plus another ticket that the officer kindly reduced for "baby things". 7 years later... Yup, I still have mommy brain! Even though I now remember to put insurance on my vehicle, that feeling of being completely unaware or forgetting day to day things is a real struggle even today. Know it's normal! We ve all been there! So the next time you think your going crazy, just laugh at yourself and know the term "mommy brain" was invented for a reason! Would love to hear a funny story of yours!! 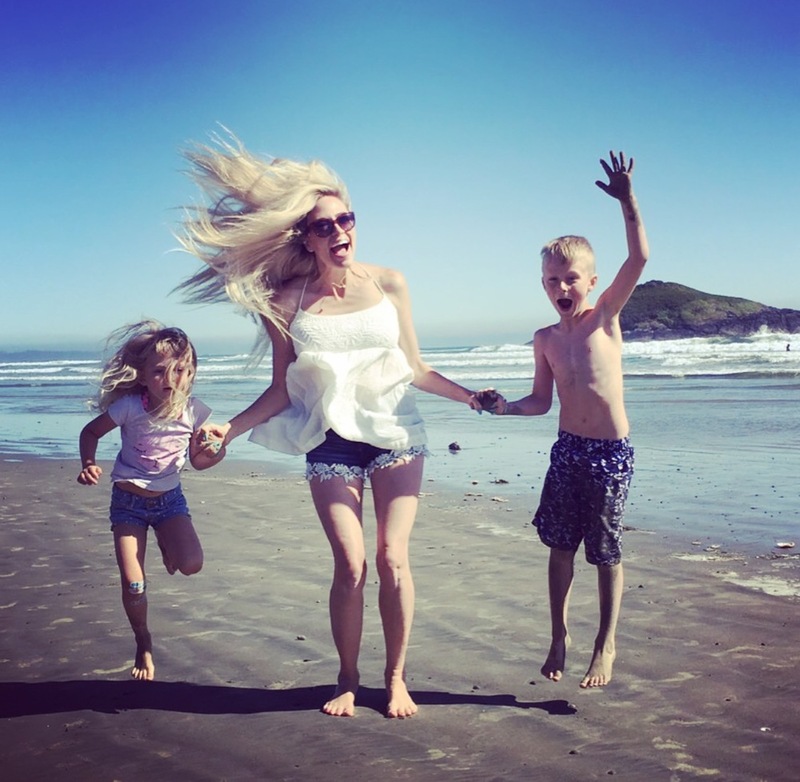 Real Talk Wednesday: Being a Mom and Balancing LIFE. How to balance being a mom, having a career, the kids activities, a social life and a healthy relationship with your partner? Sounds like a lot right?! Once you hit a certain age, its bound to happen. Here are some tips to help relieve anxiety and stress when juggling life commitments. View from the family lake house! One of our favorite places. 1. Taking time for you. There are times that I set aside just for me when I can focus on myself. Everyday, I try and do my makeup and get ready for the day. It puts me in a good mood and gives me a lil extra confidence, rather then going out feeling like I just rolled out of bed. I also love bubble baths at night after the kids go to bed. My way to think about the day and unwind. 2. One on one time with your kids. Since we are a busy and active family, my husband and I try to alternate activities durning the week. Sometimes he will take our daughter to ballet, and I will take our son to hockey. Or we use evening activities, like baseball as family time and all go together. Yup, even the dog comes! It is important to make each child feel special and take interest in what they like to do. If you taking them anyways, watch, participate and have fun! 3. Date night. How easy is it to forget about date nights with your spouse?! The hassle of getting a sitter, organizing a night out and scheduling time together. Wouldn't it be easier to catch up on PVR recordings and zone out?! Yes, it probably would be BUT date nights keep a small spark going. A great time to put the phones away, visit and talk. I like leaving the house without the kids on our date nights because I feel more connected to my husband. If your on a tight budget, it doesn't have to be fancy! You could go for a walk, or sit in a coffee shop and catch up. Basically, we all get busy, but it is important to reconnect with your spouse and take time to talk. 4. Playdates and friends. This just isn't for the kids, moms need friend time too! I have a small group of very close girlfriends, but we all respect each other and are loyal to one another. We take the time to visit, to catch up and to talk about life! It feels good knowing you have women in your life you can trust and share the great times with and life challenges with. Sometimes, we can go long periods of time not seeing one another but the bond is always there! 5. Talk it out. If you are feeling stressed and overwhelmed, know that it is normal. We all feel it. The best thing to do it reach out to your spouse, your friend or your family. When you actually say whats bothering you out loud, it can change the way you think about it, What we see as a huge deal in our heads, sometimes isn't as big as we make it out to be. We can be so hard on ourselves. Make a change if you are truly unhappy. In the spring, I took on to many outside activities and wasn't spending enough time with my husband. I had to look at what was most important to me. I choose my family, friends and my business. I know in the future I will be more interested in adding in extra activities, but you also have to be realistic. What it comes down to is your happiness. Don't forget about yourself and how important you are. It is not selfish to take time for yourself. We can all find our own healthy outlets to suit our lifestyles. If you have to much on your plate, then adjust it and think about what is most important at this time in your life. Thank you for the messages and love last week! If you want to hear about a certain topic, I would love to hear from you. Real Talk Wednesday: My Latest Article for Fresh Magazine! This week is a little bit different, fun and light hearted! I wanted to share my latest hair article that was published to Fresh Magazine . Our very own Vancouver Canada based Magazine, which is now National! I am thankful to be making such amazing connections with other wonderful business women! I encourage each one of you to make steps towards your own goals and inspirations. The power is lying within you. If you listen to that little voice inside, it's usually right and will guide in the direction you need to go. Push yourself out of your comfort zone a little each day. Like I always say, we may not all have the same goals, but we can encourage and cheer one another on. Full text below (if article text is to small for you) Hope you enjoy. As always, I love hearing your feedback! Thank you all for your continual love and support every week, it doesn't go unnoticed. If you would like your own copy you can order here. How To Achieve and Maintain Long, Healthy Hair. For years, I thought my hair would never grow past my shoulders. When I was younger I had such long healthy hair. What was the problem? It had everything to do with my hair routine and not having a plan. If you are stuck growing out your hair and cannot get it long, then here are 10 tips just for you! VISION: Find a hairdresser that gets your vision. Whether it is color or length, there has to be a plan that both of you and agree on and work towards each visit. PATIENCE: Nothing happens over night. While I was growing my hair out, I used high quality clip in extensions. Honestly, the clip ins got hot and time consuming. I did not wear them everyday, but it got me excited to grow out my hair and have naturally long hair myself! It takes months, not weeks. CONDITION: Deep condition at least once a week. I have been using Olaplex treatment at home in between colors. Ask your hairdresser if they carry Olaplex, it’s a game changer and can help repair damaged hair..
GET CREATIVE: Avoid using heat everyday. This one is important. If you blow-dry and use either a curling iron or flat iron every single day, then you need to change up your routine. I get creative with buns, braids and ponytails. I will blow-dry and straighten or curl my hair twice a week, then alternate with different styles that do not include heat. BE REALISTIC: Be realistic with what you can achieve with your hair type. Talk to you hairdresser about what might not be attainable to avoid disappointment. BAD HAIR DAYS: Avoid any last minute hair decisions when you are having a bad hair day. Save pictures of what you want your hair to look like and share them with your hairdresser. That way, when you go and ask to chop it all off, your hairdresser will easily talk you out of it. COLOR: If you color your hair like me, it’s important to avoid dying over your length every time you go for a root touch up to prevent breakage. TRIMS: Getting to many trims, to often? Before I found a consistent hairdresser, every time I went to get roots done, they would “trim” my hair. Which left it the same length! Now I trim my hair every 3rd visit. DRY SHAMPOO: This is a lifesaver and hair saver! I never wash my hair everyday to prevent breakage. The natural oils from your own hair can contribute to keeping it healthy! The healthier your hair, the less breakage and the longer it will be. So, feel free to add a little dry shampoo into your life. You will thank me! CONSISTENCY: If you stick with your plan, you are going to see your hair respond in a positive way. You can have long hair that is colored and healthy. Overall, it’s all about having a plan, sticking with it and being patient! If you need more hair inspiration please come visit me at www.kerilynne.com or follow me and connect on Instagram @klynne_love. Every Monday, I post a new hair video with fun styles and ideas to help you get through the week! Have questions or want to see a certain style? Would love to hear from you! Real Talk Wednesday: You Don't Have to be Perfect, You Just Have to Try. I tell this to my little ones all the time, "You don't have to be perfect, you just have to try." There is so much pressure to be perfect, look perfect and act perfect, but guess what, it's not real. When you are finding your way, reaching towards your goals and discovering your purpose, it won't always be easy. Sometimes you just have to wing it and pretend you know what you are doing! Trust me, you won't get anywhere by NOT being afraid to take risks. Most of the time you will learn as you go. It's all about pushing yourself into those uncomfortable places where you know you will better yourself and grow. It's not always easy to do this, but it works. We only have one life, but we have a ton of chances. Remember, let go of the past and any mistakes you have made. Learn from them, but let it go. Mistakes don't have to define you. Focus on the new you, your future and what you see for yourself going forward. You are in charge, not your significant other, not your parents or family, and not your friends. You can use them as support systems, but the reality is, you have get it for yourself. Everyone has different goals, everyone has a different idea of success. Our goals may not be the same, but we all have the desire to succeed. Instead of getting down on yourself or blaming others in your life, make a list, write down what you want, and set goals. I am guilty for being my biggest critic. In my head I am never doing good enough, I strive for perfection, but for what? Who is the boss of "perfect"? Lets get real, and instead of criticizing ourselves over everything we are doing wrong, lets start focussing on what we are doing right. If you don't think I get nervous every Monday night before I do my hair video posts, well your wrong. My videos are never perfect, but guess what, thats real life!! My hair is always a lil messy in my day to day, so why not keep it like that in my videos. If anything, other women can relate. Bottom line, be yourself. Lets talk about how amazing you really are! Yes you are beautiful, you are loved and someone looks up to you. You might not realize it, but give yourself some credit. Start believing in yourself. If you have been thinking of trying something new, then do it!! Just TRY. Trust me, it may be the best decision you have ever made. Thanks for all the love, comments and shares. I appreciate every single one of them! Real Talk Wednesday: I Promise You, It Won't be Perfect. Marriage, life long commitment, learning to live together, and building a life as one? Let's get real, it's not always going to be easy or perfect. When two lives come together, it's more than living in the moment, it is your entire history, both of your childhoods, your flaws and quirks, along with everything good all wrapped into one big bundle. I am no expert on marriage, but I can say I have learned a lot over the past 8 years of living together, 5 years or marriage and two beautiful kids later. Lets not sugar coat it, there will be rough patches, there will be times that you don't get one another, but thats ok. You are not alone. Before marriage, I used to think of it as a "fairytale", yes I was one of those people. Then real life hit and instead of going through struggles on your own, you are suddenly going through the good and the bad times with your partner. There is so much to know, but the most important concept I have realized, is never stop learning about each other. Everyone changes and everyone has highs and lows. You can either pick one another apart, or you can take the time to accept, be patient and understand what you will tolerate and what you will not tolerate. Speak your mind, listen and communicate your thoughts. YES, this can be done without yelling, swearing or hurtful words. It is much better solving problems when you can talk and be open to hearing both sides. Personally, my husband and I have 3 absolute "no toleration" rules each. That means, we both chose 3 things that neither of us would tolerate within our marriage. That way, we know our boundaries and have a "map" of what we will accept and will not accept. Each couple is different, so you can come up with your own based on your believes. We can try our hardest, but life happens. Whether you have kids or not, marriage is NOT all rainbows and flowers! However, the times that are the hardest can bring you together and make you stronger. There is so much pressure to have a perfect marriage, but guess what, just like pretending everything is always going to go exactly as planned, thats not real. Take a step back, look around you and be thankful for where you are in this exact moment. I am thankful to have a loving and supportive husband. It takes work, but we are able to accept each others differences and similarities. We know our limits and we choose to learn and grow together. It hasn't always been easy. It is a choice to stay together, to make it work and to realize it's not going to be perfect along the way, but it sure is worth it. Hope you all have an amazing week and thanks for stopping by! Message me some ideas for next weeks Real Talk Wednesday and yours could be featured! Real Talk Wednesday: Do What you Love and Don't Stop! There are too many times that we doubt and label ourselves. It is easy to forget the potential that lies inside each of us. You might find yourself saying you aren't good enough, things don't go your way or that you will never live the life you truly want. It is easy to look at other people and automatically compare yourself to their lives. That is a natural emotion, BUT you need to stop. If I looked at every woman that has already achieved the goals I want, then I could get easily discouraged. Instead, I look at what they are doing, how they got to where they are, and I learn from them. Instead of turning those feelings into anger, fear, judgement and jealously, I use that energy to learn, to become better and to have an open mind. 1. Find your passion and create a goal. 2. Focus on the positive and ignore the negative. 3. Understand that for every 1 yes, there are probably going to be 10 (or 20) no's first. 4. Remove yourself from anything hurtful or harmful. 5. Stand your ground and know what you will tolerate and what you won't. 6. Don't take things personal, remember everyone else has their own struggles and story. This week I have experienced some harsh criticism in the form of comments and what I call "computer courage" from my hair video's being reposted all around the world on Instagram. The Instagram community has been amazing, supportive and truly wonderful. However, you will always experience some form of criticism when you are following your dreams and doing what you love. Instead of taking those mean comments to heart, I block, delete and move on! See ya! I don't personally know these people. However, I always keep in mind, you never know what others are going through and why they are so angry. Honestly, to get so critical and awful over my hair videos really blows my mind, but it's not going to stop me. I work hard every week coming up with new content, styles and I have learned to edit all my own videos. It actually gives me more energy to keep on going. For every negative comment, there are 100 that make up for it and the best followers and supporters I could have ever asked for! So bring it! Whatever life throws at you, know that you are doing an amazing job. Keep going and don't give up. If you haven't found your passion yet, you will. You can't choose when it all falls into place. BUT you need to take the first steps. No one is going to do it for you. So get out there and do what you LOVE and don't stop! I truly want to say, thank you so much for all the love and support. You make my week bright and happy! Real Talk Wednesday: 10 Reasons to LOVE your 30's. Now fast forward 10 years and there I was on my 30's Birthday! This time I wasn't sure what to expect, would life get better? Would I love my 30's? HECK yes!! My 30's have been amazing so far and here are my top 10 reasons I LOVE my 30's. You know your style. You can still rock a pair of heels but you can also make your flats look cute and classy. You don't feel pressured to wear the latest trends, because you no longer have to and it's a great feeling. You look back at pictures and think.... where were my eyebrows? WHY?!? Basically, you now do your eyebrows. Things change in a fantastic way after you turn 30 because you stop putting energy into nonsense. Simply stated, you just don't give an F. It's a great feeling when something happens that you would usually get upset over, and you don't. It clicks. You are to busy focusing on your goals to put energy into little issues. You can easily move forward without guilt. You used to dwell on issues that made you feel bad, but now you realize you are not in control of other emotions and insecurities. You can focus on you. You are more aware of who you want to give your time to. Say NO and feel fine about it. In my 20's I was a "yes" person when it came to picking up extra shifts and working 7 days a week or doubling up on my courses in University. That led me to being exhausted, overwhelmed and unhappy. Now, I have perfected my own system and I have the freedom to say no when I want. Now is about the time that your student loans are paid off and you have probably learned a lesson or two about credit cards and loans. Your learning about saving and maybe by this point, made an investment or two. There is no need or desire to have a "group" of friends. Your over trying to be best friends with everyone you meet, because you probably have those couple amazing friends that have your back and have for years. They get you, they know how you operate and vice versa. It's a good feeling. Your hard work and labour have begun to pay off. All your years of planning and visualizing in your 20's start coming to life. You know what you want, and if you haven't gotten there yet, you know you will. In your 20's you have so much pressure to choose the perfect career or degree, sometimes based on what other people think you should do. In high school and university I was always worried about my career and if I was choosing the right path. Now, I know that every decision I made has helped me get to where I am today. You get it more. If your dating you generally know what to expect and if your married or have been in a long term relationship, you have more tolerance and know when to let it go, or when stand your ground. You take the good with the bad and realize relationships are not fairytales, they take work and they are never perfect. You also realize when you find a keeper and when to let go of those toxic relationships. Basically, your 20's are a stepping stone to your 30's. In your 20's you probably experienced heart break, jobs you hated, people that came in your life and left just as quick, built everlasting friendships, learned a ton about yourself, and started planning your future. Do I miss it...well NO. They were wonderful years but I am all about my 30's! If your not 30 yet, then you need to get excited. Life is speeding by and I am enjoying everyday. Give your loved ones a hug and look around to appreciate everything you have accomplished. Teens, 20's, 30's, 40's + whatever your age, know you are amazing and loved. Remember, if you haven't found what makes you happy yet, go out and get it! Real Talk Wednesday: When Women Work Together. One of the most powerful experiences since starting my Instagram and blogging career, is the overwhelming amount of support from women all over the world. The strenght of community, encouragement and love is an incredible feeling. It has giving me confidence and an unstoppable force to push towards my goals. I am lucky to have supportive women in my life that are not afraid to reach out, to share my work and, to take the time to tell me when they love something I have created. I do the same for them, and that is powerful. As women, we put a high level of expectations on ourselves. At times, we experience the same emotions that hold us back from what we truly want to do. No one wants to be judged or picked apart. There is that small voice in the back of our head which holds us down. It tells us "NO', it tells us we are not good enough, it tells us that we have to be perfect before we can try. Thats a lie. Thats not true. When we ignore the voice, that is when we can begin to live up to our full potential. I am here to tell you "YES", you can do what you want, you can follow your dreams no matter how big, small, or crazy they are. If you are not surrounding yourself with supportive and encouraging women, then you need to start. Do not be afraid to let go of anyone that bring you down or picks you apart. Remember, you get what you give. You are in control of who you allow in your life and who may not be a match for you. Allow yourself to rise up to new levels and to recognize your self worth. It all starts with small changes and kind actions. Whether I am running to the store to grab things for dinner, or picking up the kids from school, if I see another woman and I like something she is wearing, or I think she has beautiful hair, or pretty eyes, I tell her. I smile and I give her a peice of the love and energy I get everyday. I love the feeling of being able to make someone feel special. Last week, I saw a woman with amazing, bright purple hair. I told her how beautiful it looked on her. She smiled nervously and told me she had been worried about doing it because she thought she was to "old" to have bright hair. We laughed and I reassured her it was amazing and fun! She thanked me and we both walked away feeling good. As women it is easy to forget how beautiful, smart, and wonderful we are. It's not about being perfect and it is certainly not a competition or race. It is about loving yourself and being able to support and encourage one another. We have the power to lift one another up and I strongly believe this is the new generation of women. Let your guard down and let supportive and kind women into your life. Be there for your friends. Be there for them in business, in life, in personal struggles and in the best of times. For the critics, be strong and know what you will accept and what you will not allow. Do not be afraid to say no, to walk away and to choose who you want in your life. We are hard enough on ourselves, move on from anyone or anything harmful and hurtful. We may not all have the same vision, we may not take the same paths to get to our dreams, but when we work together by encouraging and supporting each other as women, wonderful things will happen. Thank you for all your support and love single week! I am thankful for every single one of you. Real Talk Wednesday: 5 Things only Moms know. Before I was a mom I had no idea that these things existed, but I learned quickly! Full or ENERGY and having fun! 2. Grocery Shopping "Vacation." When you hear a mom say that going to the grocery store is her "mini vacation," this is 100% true. I use to be like, what does that mean?! Before kids going grocery shopping was a chore! You don't think about it until you have 2 children crying, bugging one another, asking for every item jammed packed with the highest sugar content, trying to sneak things in the grocery cart, and possibly a temper tantrum on the floor. You will never know what will happen before you walk in those doors. So yes, I take a "mini vacation" when I can, even if it is to Superstore. Goals! 3. Bathroom "No No's." Ever walk into your bathroom thinking it will look the same way you left it after cleaning it?! Not if you have kids. There are times I walk in and wonder where I am, is this the same bathroom I literally just scrubbed down with perfectly folded towels?? The clean hand towel I just washed full of toothpaste, pee on the floor, walls and who know's where else, toilet not flushed, and toilet paper unrolled. Thats on a good day. My littlest had recently decided it is a good idea to wash the mirror and the sink with the hand soap to "help" mommy. All you can do it clean it again and breath. 4. Saying the "Right Things at the Wrong Time." A couple months ago while traveling, my littlest and I were in the airport bathroom. We were washing our hands at the sink and a lady came out of the bathroom stall behind us, looked in the mirror and turned around to walk out. My 3 year old noticed everything and said in a super loud voice, "Mommy! We ALWAYS wash our hands after going potty! That lady needs a timeout mom!" The lady literally looked at me and ran out of the bathroom. I couldn't help but laughing and thinking, you are right but at the wrong time! Even though I would never call the lady out for not washing her hands, my 3 year old did! You never know what will come out of those little mouths at what time! 5. Bedtime "Marathon." Why. Why. Why. Why do you need to go pee 3 times in a row? Need a banana, then a peice of bread and butter (with no crust), then get crumbs in your sheets, then you need a drink. Time to change your jammies cause your too hot then too cold. Then spill water on your new jammies and have to change them again. We're laying down, no wait, we aren't, let's do somersaults on the bed. Now you hit your leg and hurt yourself, lets calm down for story time. But wait, we need to choose the right story, ok reading the story, but now you missed a page because you got distracted tucking your stuffies in. So now, we need to start the story over. Snuggle time, sing a song, nope not the right song! Getting sleepy? Mom will leave, just kidding! Now there is a scary sound, and you need to go pee again........ now time to repeat for child #2 or #3 or #4. This can just be a small clip of bedtime. But, if you are a mom, then you get it. It sounds nuts and it is! It's NUTS! The positive part? Knowing that everyday you get more patient and you have an "idea" of what to expect. You are a pee pee, poo poo, temper tantrum warrior. You are freaken amazing! You do this day in and day out and I want to give you a high five for being a MOM and being just plain awesome. Remember, when you are on the verge of a mommy breakdown, know there are thousands of us all feeling the same way. There is no such thing as a "perfect mom" so lets just embrace the craziness together and know we have each others backs! Real Talk Wednesday: Never be Afraid to Look in the Mirror. The first time I looked in the mirror after giving birth to my son... well, it was terrifying. There are no other words to describe it and there was no amount of preparation for the person starring back at me. I had gained over 70 pounds with my first pregnancy! With every visit to my prenatal Dr, I dreaded stepping on the scale. Its not like I was eating donuts, burgers and candy everyday, but it happened.....70 pounds of pregnant. Right after my first born son came into the world. It still feels like yesterday. I remember standing there feeling shocked that my baby belly was gone but it was hard to recognize my new body. I was no longer pregnant, but I no longer had the body I did before I got pregnant. Who was I? One of the biggest surprises for me, was after my milk dropped down! I was not prepared for that. I stood there starring at myself, half laughing, half crying at the two huge basketball like objects leaking milk and protruding from my chest. I was obviously expecting change and read every pregnancy book out there, but when real life happens, so do your emotions. I was completely shocked. Right then and there in that hospital bathroom, I made a pact with myself that I would not allow myself to feel ashamed about my body and that I would never be afraid to look at myself in the mirror again. I told myself that in whatever shape, form, size or body type, every other mom had those same feelings. I was not alone. From the swelling and stretch marks to the pain and soreness... it was real, it hurt, and everything felt squishy and out of place. My post pregnancy journey had started. Little did I know, my newborn son would be up eating mostly all night, and day. Little did I know, that with every passing day, the swelling went down, the soreness went and away, and my body knew exactly just what to do for my hungry baby. I was a full time breastfeeder and before I knew it I had lost almost all the weight, plus a little more in the first year of my sons life. I made some eating healthy choices and completely cut sugar out of my diet. I learned to listen to my body and trust it. I also learned how to be kind to myself. Standing in front of that mirror for the first time, I knew I would never be the same women I was before having my baby, I was a better version of the old me. Stronger for myself and even stronger for my new baby. My body isn't perfect, I have the marks show, but I wouldn't change it for the world. The sacrifices you make for your babies and children are always worth it mind, body and soul. The next time you doubt yourself and beat yourself up about not having the "perfect body," know you are not alone. You are beautiful, amazing and one of a kind. When we can open up and be real with each other, thats when beautiful things happen and we can truly accept ourselves for who we are. Thanks for stopping by! Let me know what you would like to hear about next week and your idea could be featured on my next post. Real Talk Wednesday: Mommy Guilt. Ever sneak into your kids rooms and peek at them sleeping? I swear, it melts my heart every time. They look so innocent, peaceful, beautiful and pure. Then I go to bed, lay there, think about our day and sometimes I cannot help but have major mommy guilt. I love watching my kids run, play and be happy! My definition of “Mommy Guilt”? Here are the 4 main ones for me, I am sure your list is different, maybe bigger, maybe smaller, or maybe the same, but we all know that feeling. 1. Overreacting or yelling: I catch myself totally overreacting to situations that the kids get into and I probably make it 10 times worse! For example, if my little one slips, I gasp super loud and scare her more then anything. Which, can then lead to her crying for no particular reason other then mommy overreacting. If the kids are arguing, or not listening and I end up yelling, thats the worst feeling for me. I immediately feel awful, and yes....guilty. 2. Not listening to their words: The first 10 times of answering the same question, or explaining the same thing over and over again, it can get exhausting. So, I find myself totally zoning out. I honestly don’t mean to but my brain literally turns to auto pilot. Then I end up saying “YES” to something I meant to say “NO” to, and well you can see where that leads in a hurry. For example, my little guy will ask me things that he knows I would usually say no to like, “Can I have a candy before dinner?” I will be busy cooking dinner and not really listening and say something like, “Sure hunny”….”I mean NO!” It’s a real thing in my house… and I do it way to often. 3. Time out city: We can go days without a single time out. Thats when I start feeling pretty good about my parenting skills, yup things are going smooth. It’s almost like every time that thought pops into my head, the next second I will be giving a time out, then another time out and then my “mommy confidence” drops from a 10 to a 2 in about five minutes. 4. Melt down madness: The smallest things can trigger a melt down at ANY moment. Sometimes, it can be like a tiny bomb just waiting to go off usually when I am rushing or actually have something planned. Trying to pick up some groceries for dinner? Going for dinner and just sitting down in the restaurant? Trying to make a phone call or visit? The list can go on and on, but those tiny lil bombs are just waiting to go off. After, I usually pick apart the situation trying to figure out what triggered the melt down and blame myself. Honestly, toddlers will be toddlers and kids will be kids, melt downs will happen. It’s never perfect! The days when you plan everything to go smoothly are usually the days it doesn’t happen. Know that you are not alone! The next time “Mommy Guilt” tries to set in after a busy day, you are tired, you are exhausted and you are about to pick yourself apart!? Take a deep breath and remember you are not the only mom that makes mistakes or isn't on the ball every second of the day. Sometimes, you will feel like you are going to loose your mind, but you know what, we all do. It’s what makes us moms. So ditch the guilt and take the sleep instead! Trust me, you will feel much better the next day. Real Talk Wednesday: How to ROCK at being YOU! First off, I want to start by saying how thankful I am to have such amazing friends and family in my life! It's all about choices and finding those wonderful people that let you know they will always be there for you and have your back. This week I want to talk about something that all of us women need to do and that is not only learn to accept ourselves but give ourselves permission to love who we are and ROCK IT! Your probably thinking, well thats tough because "this person said I am too loud, so quite, not good enough, too smart, not smart, too outgoing, not outgoing, way too boring,"......the list can go on and on. My sister and I getting ready together before her wedding! I love how real she is, we always have so much fun together! 1. FORGET about what others say or think about you if it isn't kind. It has nothing to do with who you really are, it is a small perception of what they want you to be. Once you understand this, you can allow yourself permission to just be you. Shine as bright as you want, and if you hear something negative move on! 2. STOP the competition. Remove yourself from anyone that tries to make you feel less then what you are. When we get to a certain age and have children of our own, it is our responsibility to lead by example. Think about it, how would you feel if your son or daughter was being bullied at school for the way they dressed, talked, looked, or lived? The tolerance and excuses would not be there. If we can lead by example and have compassion for each other as women, we can teach the up coming generation of children that cattiness and judgment is a thing of the past. 3. SUPPORT, encourage, and accept one another. Don't get me wrong, you will not always find a connection with every single person you meet, but kindness can win over any negative comments or feelings. 4. HAPPINESS is the key. When do you feel the happiest? Start thinking about who you are around when you feel this way. What are you doing? Where are you? These are hints to discovering the true you, without anyone telling you how to act or live your life. It's up to you. Never give anyone the power to make you doubt yourself. 5. ACCEPT your flaws. No one is perfect and we all make mistakes. The people who love you and accept you are the people you want by your side and in your life. Be you......however fun, crazy, shy, quite, outgoing, serious, whatever it is! Embrace your personalty and ROCK IT! You are an amazing person. Know this, feel this, and believe this. My First Full Page Article with Fresh Magazine! Happy Saturday! Riley, Emilyn and I are so excited to share my FIRST full page article in Fresh Magazine with Keri Adams for CTV News Vancouver rock'en the cover! Last year I set a goal that I would be featured in a publication, and this week it came true! If you believe in yourself and have a goal, DO IT! Try till you get there. We may not all have the same goals, but when we can support and cheer one another on amazing things can happen! Thank you so much Fresh Magazine and Shelly Nellis! I am thankful we have connected and you are such an inspiring entrepreneur and business women. Real Talk Wednesday: 13 Notes To My Little Daughter. Not long ago, you were my newborn baby. Someday, I will be old and you will be helping me. Sometimes, it won't always be easy. Last fall in Laguna Beach. She loves when we do our hair the same! 1. Maybe you will feel like no one understands you. Thats ok, sometimes I feel the same way too. 2. Other times you will feel like your on top of the world. I will be right there cheering you on and helping you reach your goals. 3. There will be times you will cry because you won't understand others actions and words. I will be there to let you know it is only making you better. We will gracefully walk past it together, strong and tall. 4. One day, your body will change. You might not be ready to grow up. Thats ok, my body will be changing too and I might not be ready. Let's not fight it. We will change together and honour ourselves. 5. You will have crushes, you will have a first love. Daddy will say no and panic, don't worry I will remember mine. 6. Soon enough, you won't be a little girl and I won't have a little girl. Let's have compassion for one another. Let's remember parks, cartoons, sippy cups, snuggles, your favorite blankie, dollies, and butterfly kisses. 7. Someday, you might feel like you have to be perfect to make other people happy and follow what they say or do. That's ok, I will teach you to love yourself first, do what makes you happy and walk on your own path. Be kind to yourself. 8. We will have fun and we will be silly together. Laugh at me when I make mistakes, and we will laugh together. 9. We will not be afraid of change. It will not divide us, but allow us to grow closer. 10. Once in awhile, you might fail, but I have too. That is how we learn and grow. I will be there to help you get back up and try again. 11. Others may judge and try to label you by your outer appearance. Thats fine, because you will know it is whats on the inside that counts and you are beautiful in every way, just the way you are. 12. Often, when we become parents, we have exact images in our minds of what we want our children to be like or what we expect them to be. Maybe you won't want the same things I have wanted in my life. I accept you and that is what makes you my daughter. Different, the same, and united. 13. Always, I will love you. I will be your biggest supporter in life. In my heart you will be my baby, and one thing is for sure, you will forever be my daughter. Thanks for stopping by this week and for all your support and shares! Real Talk Wednesday: Mommies Make Mistakes Too. Ever feel like you make mistakes everyday with your kids and no one else gets it? ME TOO. My main stress and worry usually has to do with the kids. I want to be the best mom I can be, but sometimes life isn't perfect and sometimes I make mistakes. It can be the simplest moments that mean the most to my little ones. Emilyn loves bubbles! 1. If your a new mom, enjoy time with your baby. I know! You hear it all the time, but it is so true. The innocence and beauty of your baby is the purest thing in the world, but it's not always easy to cherish those moments when you are exhausted and feel like your in a bubble! My Mistake: I started a home based lash business when my daughter was only 3 months old. I lasted less then a year, not because of lack of sales and clients, but the opposite! I got busy and fast. I was nursing our new baby, looking after our toddler, running my own business (with no daycare) and trying to manage it all together. It left me completely drained, unhappy and exhausted. I made the decision my kids came first. It's all a cycle of learning and growing with your babies and children. 2. Don't be hard on yourself. My 6 year old has recently decided to wake up at all hours of the night having nightmares. I honestly feel like I am back to the routine of newborn feeds! My mistake: I am a planner and I love a routine, but I am tired the next day and miss my morning work out. I usually get it done at night, but if I am not sleeping everything feels 100 times worse. The thing is, you can't plan everything, so just go with it. 3. It takes time after you have a baby. I never felt anything back to myself until my babies 1st birthdays. Once I got to my year goal, I stopped weighing myself. Now, I base my body goals on how I feel in my clothes instead of a number. Don't expect a transformation over night. My Mistake: I had an idea in my head I would be back to my post body within months of giving birth. Did I put a huge amount of extra pressure and stress on top of being a new mom? YES I did. Was it worth it, NO. First, focus on sleep and healthy eating habits. You are amazing and so is your body. If you want it to happen it will, just pace it out. 4. I had completely cut out coffee/caffeine with my pregnancy and while nursing my son. One summer at the lake, my son had a hard night with sleeping (and teething). We were sharing the lake house with family friends, and I am sure they didn't have the best sleep either! In the morning, I got up and went downstairs to where my girlfriend was making coffee. She took one look and me and said, "I know you don't drink coffee, but your going to start today." I cracked up laughing and from that day forward I have had a coffee a day! My mistake: I broke my no caffeine with nursing rule. Did it do anything horrible to me and my son? NO. Does it make me a little more energetic and happy? YES. Take the good with the bad! It's not always going to be perfect. 5. Never be afraid to look at yourself in the mirror and tell yourself you are beautiful. I had a hard time doing this after having babies and seeing so many changes, but the more you do it the easier it gets. I can do anything in this world! Bottom line....You are amazing and you are an inspiration, even if you can't see it in this moment. Remember, NO ONE is perfect. Just be you, and try not to feel bad when you make a mistake. No matter how big or small, mommies make them too. I have answered all of your questions from yesterdays Instagram post. Thank you for your messages and emails. So happy we can connect and I love when you reach out. Thanks for stopping by! Happy Wednesday! REAL TALK WEDNESDAY: IT'S ALL FAKE. I am back with another: Real Talk Wednesday. This week is a little different since I had many of you message me asking for a vlog! Thank you all so much for your feedback and letting me know what you want to see and hear. Here it is! Let me know what you think! I ll be doing a Q&A this week on Instagram and I ll be answering those questions on next weeks Real Talk Wednesday! If you want to get in on the action, head over to my Instagram @klynne_love and leave me a question. The questions can be anything you want to know about! Thanks for stopping by and remember you are amazing! Real Talk Wednesday: You will be rejected. Sitting here in the morning sipping my coffee, I check my email and come across 4 different messages all asking the same questions. This is powerful to me. It takes me back and gives me a sense of doubt, sadness, venerability and fear. The questions: I want to follow my passion but what will people say and think? How did you get started without being rejected? At first, these questions were unexpected because what does this have to do with fashion and beauty? The most basic of our emotions surface when we feel like we are going to be rejected. It would be simple to give the typical answer of "who cares and do what you want," but the awful truth, yes people will reject you and judge you. The best part? Once you understand this, you can conquer it. No matter who you are, what you look like or where you are from, we all have something that makes us unique. We ALL carry a gift within us that we can share with others. The beauty is, despite our biggest differences, we all desire the same need and that is to be understood. We can learn a lot about ourselves if we listen and take the time to understand others. This is a gift. It may seem like I am off topic, but it all works together. When you can move past the fear of how you will be judged when you step out of your comfort zone, then you are already on your way. Last week I had a hair video shared all over Instagram with over a million views! Do you think every comment was positive? No! Do you think that will stop me, heck NO! For every 100 amazing comments, there will be a negative one. It's part of the job, be ready for it. Absolutely no one wants to feel rejection, but at the same time if you are following your dreams, taking risks and stepping out, then you will be rejected. I see it as a positive, because every single rejection I have experienced has made me stronger, better and given me the realization that you cannot control what other people are thinking and feeling. Thank goodness for that! Who would want that responsibility. This gave me power. I am giving you the power to be who you want, to pursue your passion and to take a risk. The power is understanding that you will be judged, and that is ok. I know you are special and have something amazing to offer so push the fear aside. When I first started on social media, I didn't tell anyone. I had the same fears, but I also had a passion that over powered my doubts. I took a chance and now I am happier then I have ever. I am my own boss, I work my own hours and I choose who I want to work with and bring into my life. I hold the power because I choose too. Please, take one small step everyday to be who you want to be. No matter who you are or what you do, the answer is inside and it will override the doubt and fear. You must push yourself. Allow yourself to see the importance of rejection and how it can be flipped into strength. I LOVE your emails and questions! You all inspire me everyday. Please keep them coming. Welcome! I am so excited to be able to connect with other women in such an positive and wonderful way. I want to start by saying I am a mommy first, however I am doing this blog because I love style, fashion, beauty and most of all helping other women put it all together. Here you are safe, this is where you can get ideas, share stories and be creative. I truly believe that a happy mommy equals a happy house. It trickles down to the special people in your life that rely on you everyday. It's easy to forget what we love as women when we are busy with a career, and/or looking after your little ones , and lets not forget....significant others too! I will share my fashion and beauty finds/ideas with you. We all need a little support sometimes. It's easy to get lost in "what do I wear??" when there are so many trends and styles out there. Plus, for us Mommies it can feel like you are living in a nursing, diaper, and nap time bubble! We've all been there. I am here to guide you in the right direction. My goal is to inspire other women to hopefully follow their dreams as well. Just because we are busy in our day to day lives, does not mean we should forget who we are and what we love! Let's have fun! I write and post to women, for women. Know I am here to uplift, to motivate and to let you in on ALL my beauty and style secrets. Why?? because why not! Instead of competing with other women, lets support one another. We can build a strong generation for our children. It all starts with us. I cannot wait to start this journey with you all! What is mommy time for me? It can be the luxury of going thru Starbucks drive thru alone, or maybe if I am really lucky, totally splurging and going to the SPA! Yes, I am one of those annoying moms that talk about my kids to my hairdresser and nail tech. They know Riley and Emilyns cute quirks, and my "mommy melt down moments!" Guess what, if you do it to, GOOD FOR YOU! It's easy to go to that "I am the only one" place in your head. The place where you are completely convinced you are failing, no one understands you, and you are for sure screwing up your kids in some way or another, but trust me, you are not alone! What do you want to hear and talk about? Let me know! I always love hearing from you. Tips: Find an amazing multi vitamin! Personally, I have been taking the same ones for 12 years. They give me that extra protection I need, especially when I am lacking sleep. I have my kids on the Children's gummies too. Ask me how you can get your kids Juice Plus for FREE! Click on the picture below to learn more. I ll do a future post all about these amazing little vitamins! I am a mother & wife. I am passionate about beauty, fashion, and confidence. 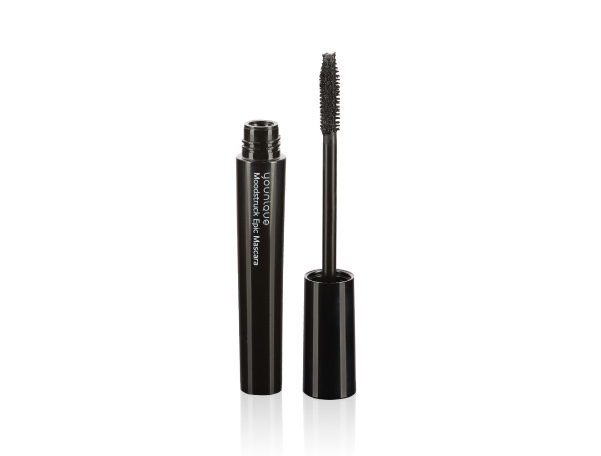 My Favorite ONE STEP Mascara!! Get huge length and volume! Join my private Makeup Group! Time to Break Up with your OLD Mascara!